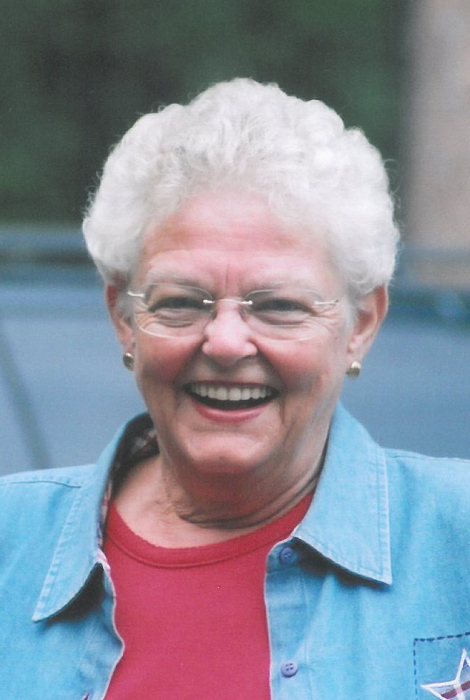 Phyllis A. Dahlin, De Pere, died Thursday, August 30, 2018. She married Henry “Hank” Dahlin in August 11, 1956 in Green Bay. He preceded her in death. Phyllis was born to George and Agnes (Dantine) Johansen. She is survived by her sons, Bryan (Karen) Dahlin and Tim (Barb) Dahlin; her daughters, Susan LaMay (Tim), Karan (David) Stary, Joan Dahlin (Gomer), Nancy Dahlin (Keith) and Julie (Glenn Sr.) Hermsen; sixteen grandchildren; four great-grandchildren; her daughter-in-law, Cheryl; two brothers, Doug (Gay) Johansen and Craig Johansen; and one sister, Romaine Nolan. In addition to her parents and husband, Hank, she is preceded in death by a son, Tom; sister, Betty Lenss; brother, Matthew Johansen; brother-in-law, Gene Nolan; and two nephews, Doug Nolan and Scott Lenss. Visitation for Phyllis will be held on Monday, September 3, 2018, at Lyndahl Funeral Home, 1350 Lombardi Avenue, from 4:00 until the funeral service at 7:00 pm with Deacon James Gauthier officiating. Burial will be in Woodlawn Cemetery. Expressions of sympathy, memories and photos may be shared with Phyllis’s family on her tribute page at www.lyndahl.com. In lieu of flowers, a memorial fund has been established in Phyllis’s name. The family would like to express a sincere thank you to Compassive Hospice, Jennifer Hart and the entire staff at Rennes Nursing Home for taking such good care of “Phylly”. A special thank you to Pat and Gloria for their friendship and all of the Wednesday coffee breaks.